I’m in southern Germany for two weeks to see car museums and to visit the amazing Nürburgring race track. I’m camping and driving with a bunch of Europeans who are members of a car forum I run. 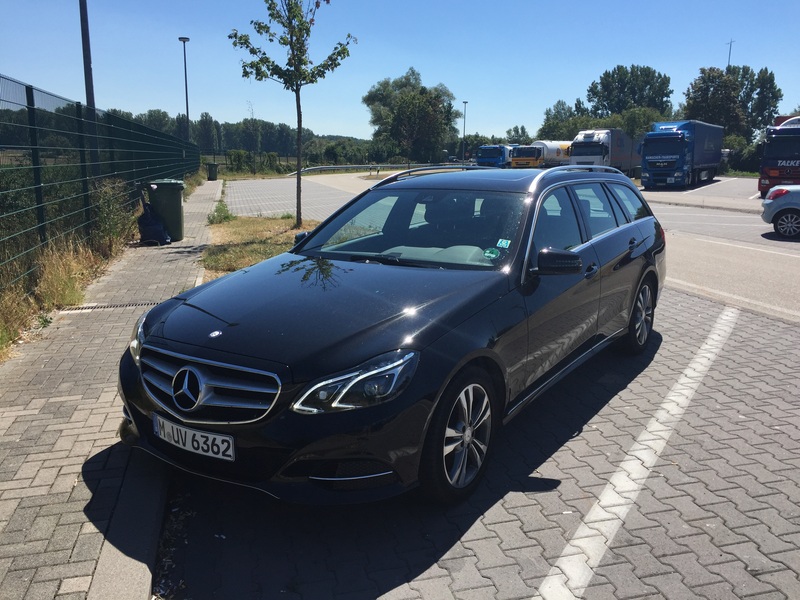 My rental is this Mercedes-Benz E250 diesel. I got it up to 200 kph (124 MPH) on the Autobahn yesterday before having to back off due to the 210 kph limited snow tires that are stupidly on it.